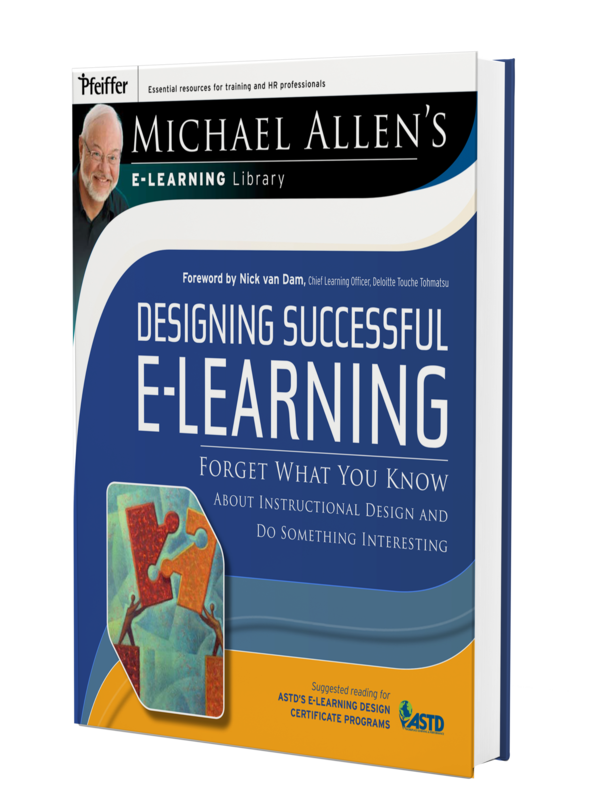 This is the second volume of six in Michael Allen's e-Learning Library-a comprehensive collection of proven techniques for creating e-learning applications that achieve targeted behavioral outcomes through meaningful, memorable, and motivational learning experiences. This book examines common instructional design practices with a critical eye and recommends substituting success rather than tradition as a guide. Drawing from theory, research, and experience in learning and behavioral change, the author provides a framework for addressing a broader range of learner needs and achieving superior performance outcomes. While its target audience is instructional designers, this book should also be required reading for all training managers seeking guidelines on implementing world-class training. Allen bridges the gap from theory to practice for both training and educational programs. His guidance is as applicable to classroom-based as it is to e-learning based training.